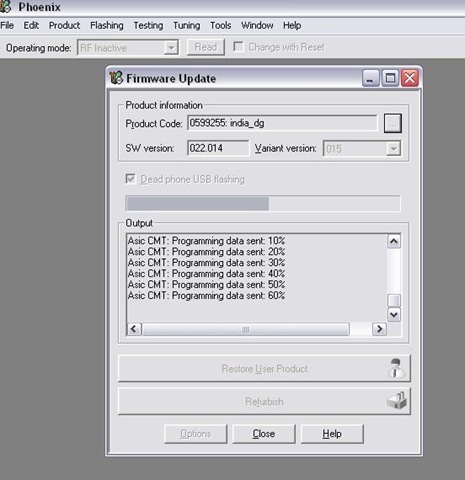 Update: Avoid the old method as the latest firmware update method is very simple. Keep the files in place, open Product and flash. Use refurbish. I will suggest you to use the second link which is created after removing Hero of Sparta files from the firmware. Notice the speed this time. Updated: Installed the second leaked version too via the same procedure and with new files. Haptic feedback and 6 home screens now. You can use exactly the same procedure while flashing. Note that even if you are already on Symbian Belle (earlier leaked one), you need to use the same Anna files (at least I did so successfully without any trouble). So you bought a Nokia N8 last year and while reading a lot of negative buzz on internet and around you, started thinking if buying Nokia N8 (or even any other Symbian^3 device) was a wrong decision? But still keeping it around as there been no better camera phone than this ever nor seems likely any soon. Think again… Haven’t you seen your Nokia N8 like brand new twice a time till now? Once when you bought it and once you got Symbian Anna on it recently. Not enough? That was just kind of theme change in your eyes? Be ready to see it like real brand new with Symbian Belle now. Yup! even though its so unlike Layman’s take, I decided to take the plunge and flashed Symbian Belle leaked firmware on it. So we paid once and will be having brand new device experience for more than three times. 1. DO NOT USE ANY OTHER THEME THAN INSTALLED. IT WILL CERTAINLY MAKE YOUR PHONE GO IN REBOOT LOOP. I bricked mine while trying the same and the only resolution was to flash it back to PR1.0 11.5 scanvidia. It was a scary ride for me as didn’t wanted to loose N8 in any case. Somehow managed to get over with it. 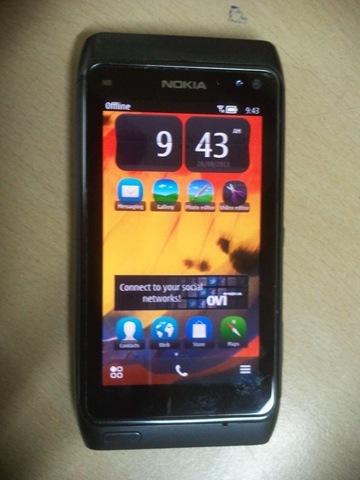 How to flash my Nokia N8 with Symbian Belle? 1. FLASHING YOUR PHONE WITH ANY UNOFFICIAL FIRMWARE WILL VOID YOUR WARRANTY (though you can claim your warranty back once you are back on official firmware). So done with warning, I know you still are interested in the guide .. so here we go..
1. Phonix: An awesome piece of un-official software for flashing Nokia Phones. Official Page here and download link for the latest version is here. Note that its some 95 mb+ file. 3. 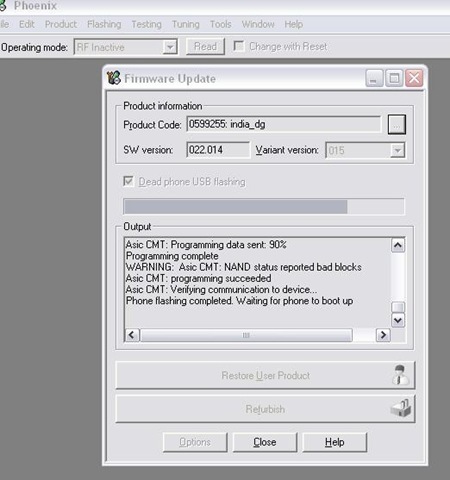 Symbian Belle leaked firmware: Leaked firmware’s are usually those one that are not yet finished for the official release and somehow came out via some insider or some outsider accidently or intentionally. Obviously the definition itself says that its not a finished firmware and there might be\ will be bugs. Worth it or not, you will find in later parts. You can download the files from here (password: orvvan + mohamad 79) or alternative download without password from here. Though original link by CODeRUS was from Rapidshare, but for the convenience of others, I have uploaded the same on Multi-Upload, that were provide the convenience to download via any of the download site of your choice. Here goes the link for the new leaked firmware, which resolves haptic issues and also gives 6 home screens. 4. Symbian Anna Official firmware: Multiple posts on web can confuse you that which Symbian Anna firmware you need (some Chinese one or something else), so note it clearly, the basic requirement is Symbian Anna firmware and best option is to download the one, which is available for your region, for your model number, for Nokia N8. Like I went for v22.014 for my Indian Dark Gray Nokia N8. 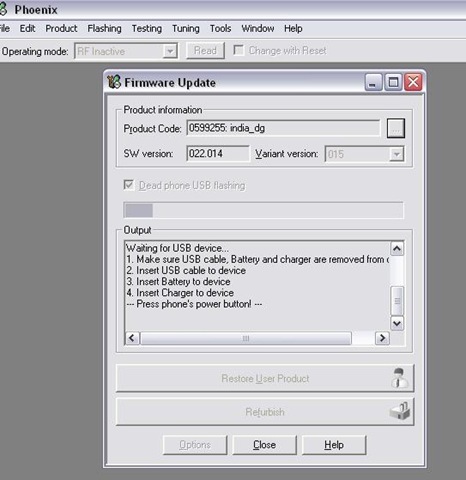 For downloading the official firmware, you need to use Navifirm Plus, choose Nokia Care Suit mode, then clear cache and once the list loads, select Nokia N8 (RM-596) and then subsequently your firmware files. It should be around 253 mb and 8 files. 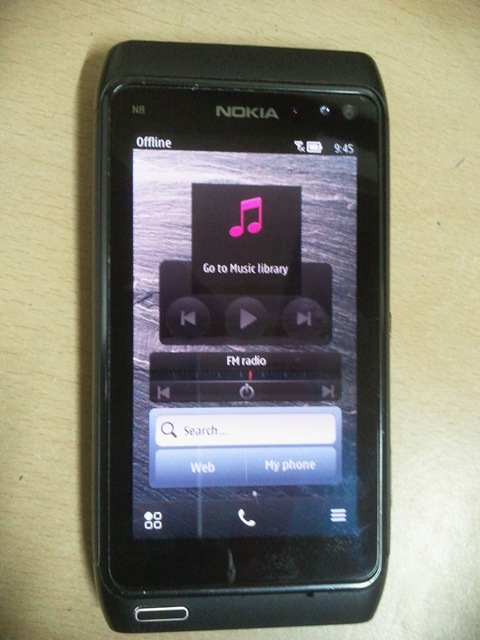 Indian Dark Grey Nokia N8 users can download from here. 1. Install Phonix first. Should not be any issues here. Though some guides suggest that you need to uninstall Official Nokia Softwares before installing Phonix, but I found that you just need to assure that none of the official Nokia Apps are running in background, just that. No need to uninstall. 2. (Optional) Have a clean Nokia N8 Many of the issues people faced with leaked Symbian Belle only because of their own messed up Nokia N8, so its better to start a fresh. Best if you have a refurbished Nokia N8 with Symbian Anna, otherwise clean your Nokia N8 via Factory Reset + Delete Data and a reinstall via Ovi Suit. *Those who haven’t got the official Symbian Anna firmware yet, can flash their phone with an Symabin Anna via same Phonix, but you need Symbian Anna on your phone first to upgrade to Symbian Belle. 3. Make sure power availability and have a recharged Nokia N8 In any case, if your Nokia N8 goes out of battery or USB connection gets disconnected, then its almost likely to brick your Nokia N8, which might be a bit hard to recover back. So make sure, nothing like such happened in middle of operations. 4. Remove the SIM, remove the memory Card There been issues with some people, when they tried to do the flashing with SIM inserted so it better to be safe remove the SIM and only insert back when everything running fine on Symbian Belle. 2. Keep all four Symbian Belle Firmware files in one folder somewhere as you will be needed to navigate to them. 3. Make sure only one phone is connected to your computer. Then go to Phonix –> File –> Manage Connection, move No Connection up and apply. 4. Go to Phonix –> File –> Open Product, type RM-596 and select the result which would be Nokia N8. 5. Go to Phonix –> Flashing –> Firmware Update, from the Product Code box, open and choose your product code (should be there automatically). Now it must be showing your SW version and variant. Check Dead Phone USB Flashing and go to Options button at the bottom of the same page and you will fine another page open with six files listed. Note that only four files must be shown there as of now. Press Ok to come back to last page. 8. Now re-verify all the things above and then press Refurbish which will start flashing your phone. Following the onscreen messages. In between, it will ask to keep the power button pressed for 8 seconds. Keep it pressed for a little longer till you get the three vibrates. In start, it will tell you that a file is missing.. don’t worry and press OK.
9. Now, if all went well then your Nokia N8 will reboot into Symbian Belle. When started, it will take a longer time to install many apps from Mass Storage I guess. Nothing to be scared of it. In my case, Swype was bugging me and was installing like forever. I connected the phone with PC and remove the directory Phone/System/Apps/Swype and all went well. In case if you wanna come back for claiming warranty or something else, then you will be needed to flash to Scanvidia firmware (that is PR1.0 actually) first. It might not be a working one (no Home Screen etc), but once done, then you can flash your Nokia N8 with the latest Symbian Anna firmware or Symbian Belle or something else (custom/ hacked firmware etc). As in last steps, always be careful that no SIM\Mass Storage Card should be inside phone while flashing and also never forget to delete unnecessary files except four important files. Sorry for a very bad quality video. Somehow made this at mid of the night. There are a lot to share about Symbian Belle features and I will try to add the same in another post, but one thing I must say, I have a got a brand new Nokia N8 after this. Any reader, who needs any help or have any quick question or have a nice suggestion/tip for me, can catch me on twitter @nkumar_ or on email id nitish@nitishkumar.net. Thats what “Layman’s Take” stands for mate 🙂 Glad you liked it. No. 24.011 is a regional version only with same features as Symbian Anna. That’s not Symbian Belle. The leaked version has no real version number yet. Hey, Nitish. I’m just curious. Since you also own an Android phone, which do you prefer? Your Samsung Galaxy S or your Nokia N8 with Symbian Belle? No worry. I should have updated. The 240mb size is of unpacked files which is 147mb after zipping them. also, have you heard of the new update to this leaked version of belle containing 6 homescreens and even less bugs? I have posted the links about the new Belle now. As about Apps installation, then not all App might be supporting the non-released OS as of now, though there is a Belle version of Opera available and Gravity and Qt apps works just fine. The new firmware provides 6 home screens, add the missing haptics, though Java apps bug still continued I guess. Thanx a lot. I had no idea about the belle version of opera. will be installing this new update now. thanx again. I successfully updated my N8 with Belle and yes it is smooth and has 6 homescreens. Just that my Exchange is not working yet whereas other email accounts were a breeze. Do i need the anna firmware even if i had it installed in my phone?? Sorry…might have missed. I think if you do not use Nokia Social then it won’t get integrated. hey nitish, i had flashed my phone with leaked symbian belle firmware last month. .then one day i installed a theme from ovi store and select it. .after that my phone turned off and isn’t starting. . One of my friend told me that my phone’s dead nd i need to flash it again via dead usb mode to repair it. . So can i flash it again with symbian belle frmware via dead usb mode ? Is there any risk ? Kindly give a suggestion plz. . .
As I wrote, themes that are made with old Carbide won’t support Belle and now you need to flash it via Scanvidia FW and then Anna/Belle FW. 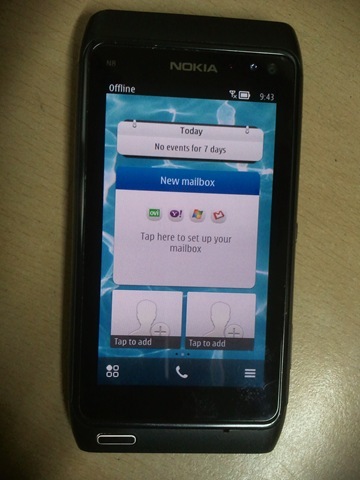 Thank you Natish, I was successful in flashing Symbian Belle on my N8 with your instructions. I have noticed now that any headphones I plug in do not work and I get an error message “device not supported”. Even with the N8’s original headphones! Has anyone else had this problem? Never faced the same issue. Have you ensured that jack etc are alright? I assume the jack is good as it worked before the update. I tried 3 different headphones, all are not recognized. I am using Belle version 111.020.0203.00.01.
i’ve tried as you said in this post….. But it doesn’t work. There accours an error when verify connection to device.. What will i do now sir? sir, my os is MICROSOFT WINDOWS XP…. And it is 32 bit… Please give me a solution. Hello Nitish…Bravo !!! ……awesome step by step instruction..Just have a question for you…When i want to flash it back to Scanvidia should i flash it with all the files in the Scanvidia folder provided for download by you or should i just replace the four BELLE files with corresponding Scanvidia files? ?Please help. Thanks a ton my friend !! Sorry to bother you with another quick question…after i flash Scanvidia using phoenix, will i get official OTA firmware updation of ANNA on my N8 or else will i be able to flash ANNA again only using Phoenix ??? Have a great weekend mate !! Mine was 0599255. Will check for 059B656 and upload the files if find. I have the same problem when I try to upgrade to Belle, Phoenix runs through the install procedure, but when it tries to reboot the phone, the phone won’t start and I just get the word Nokia which flashes on a black screen on my phone. I can re-install Anna by flashing using dead USB and downloaded Anna files and everything seems fine. I have also same problem, My n8 product code 0599255 i flash it yours belle file, after flashing phone can’t boot only Nokia on display. Naresh, You might need to flash it with scanvidia firmware now. Also make sure that you replacing correct files with correct files. I replaced correect file, scanvidia firmware have no cnt file , It has only image,ppm file. ( sir my cell virsion 25.07). I am waiting for the official version of Belle and hope that it will finally help the N8 achieve what it has been missing on the software front. I had one query and would appreciate if someone can please answer it. Earlier Nokia phones used to have the facility to let the user edit the text of a contact label, this facility is not available on the my N8…will the N8 get this feature with Belle?? Didn’t get you. We can still edit all the contact details or labels. on n8 synm.anna, the facility to edit the label is not available. 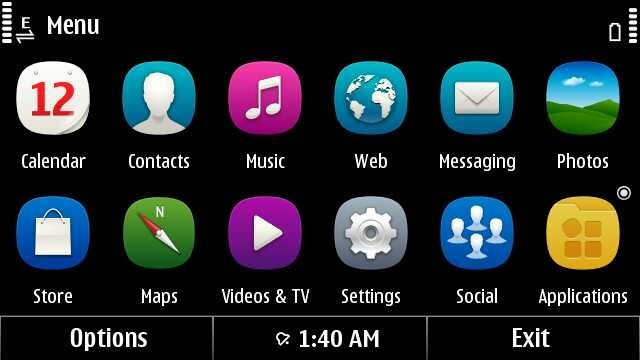 Looking forward to you comments on the new firmware Symbian Belle v111.030.0607 for the N8. I am eagerly wait flash the N8. Is it really worth it? Definitely worth it. Working fantastically. Faster than ever. In fact, i didn’t expected it to go this much faster as you can see in video. Will try to make one more post about it. I flashed my phone with this new version, everything went really smooth and the firmware is working perfectly (i only had to refurfish it instead of just update cuz otherwise it wouldn’t work), the only problem was that it took almost all of the phone memory, now I only have 13MB left on my C: drive, almost all of my apps are installed on E: and this happened even after i did a hard reset. I don’t know how to free up space cuz i wouldn’t know which files to delete, is this normal on every belle firmware or just this new one? Anyone who could know what would this be? Oh! Sorry I missed to update about it. Yes! It does take most of c: drive memory due to bloatwares installed by T-Mobile, specially Hero of Sparta that takes almost 100mb. 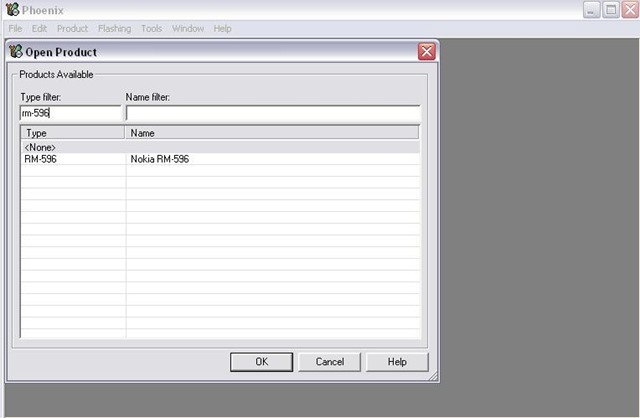 One needs to remove Hero of Sparta from firmware uda file using Nokia Cooker and then flash with modified uda file. Will upload the modified file of mine soon that will leave around 120-130mb free space in c: of your N8. 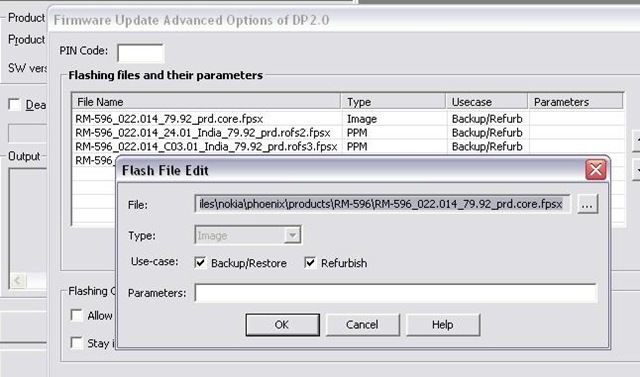 Oh thank you very much Nitish, after I modify it is it ok to just “update firmware” in phoenix or should I “refurbish” to get all files deleted? hi i flashed it in my 4 th attempt !! it was easy though. Thanks nitesh for your help. ur steps was easy and clear. thanks. i find some of the HD games very slow – Fraggers, Rally master pro not working….skype is the most disappointment…bt overall i luv belle….its fast !! no hang ups ! just finished flashing my N8. That’s known issue. Don’t worry it’d normal with new version. I also got similar messages with the last version. Thank You so much Nitish. Have another doubt. I have seen several themes effect pack while surfing.. They look awsome..I came through various methods also, like editing the core file and then flashing or just installing some package and hacking with rom pacher norton and so on…. do you recomend this.. if so do you have any tutorial??? Only after seening ur tutorial i felt flashing is easy. But if you have any tutorial plz do let me know.. if feel comfirtable reding your tutorials.. Sorry to disturb you again.. I want to downgradu my N8 back to ANNA. I thing flash with the 11.5 will be ok. But have some doubts. Hope you will be able to help me in this regard. 1) I could see 8 files in navifirm for 11.5 sandinavi version. Should i need to flash all these files.? 2) Also after i flash it to 11.5 can i update it to anna through the OVI Suite? 3) Is there any other process or tips to be followed while flashing other than the steps you have mention in belle flashing? 4) can i direcetely flash my N8 with Anna without the 11.5 version? Will changing the theme brick my phone? I will suggest you to stick with default ones only as of now. Thank you. One last question. Will I be able to update official versions from nokia once they are available over OTA? Also, do you know when belle will be released officially? I have flashed my N8 with symbian belle and it is working fine. You mean I need to use Phoenix and navifirm again or can i use the Nokia suite to update? Same procedure to be followed if we use phoenix. Right? Oh Man! I cannot use the Nokia suite. Can I? Oh Man! I cannot use the Nokia suite to update. Can I? You can use Nokia Suit for all the updates but I am not sure if Firmware update for Belle will come via that way if you already on Belle. Can I use any sim after this procedures? I think I replied via mail but that didnt reached here. Have you done a hard reset after Flash? Its required for getting things working properly. Sorry to have bothered you mate! Internet and web was was working until today. I did not do any hard reset after flashing. I have taken a back up of my mass memory contents. So, please advise if really need to do a hard reset. *#7370#. correct? Also, I came to know of a newer version. v111.030.0609. Is it available? If so can you share the same? Also, I read in few blogs that your OVI Maps and Store does not work properly after the hard reset. Is it correct? Not an issue with Belle. Do i need to reflash my N8 with belle? Have you done the hard reset? First do the same. If any issue then any kind of flashing or other things would be required. Hello NItish..Good Morning!! Just happened to know that there is a new version of Nokia N8 Symbian Belle v111.030.0609 available with lots of new widgets. Can you please throw light on how stable is this? Please let us know if you can provide us the download link & your recommendations on it. Thanks – Karthik. That version is actually a CFW not the stock version, so avoided to post about it. Should be stable but I am waiting for the stock version to leak from somewhere. hi nitish.. ive been tryin to flash my n8 to symbian belle 111.030.0609 from symbian anna 25.007.. ive been at this for hours now.. my n8 is currently on symbian anna 24.. ive followed through the steps thoroughly but i cant seem to flash my n8.. i am stuck on the part where im supposed to set the phone on flash mode.. but every time i try.. my phone boots normally and not on flash mode.. ive been stuck on this loop for almost half a day.. what should i do..? any thoughts..? correction on that.. the smybian anna 25.007 im refering to is the firmware files im using along with the symbian belle files to flash..
i flashed my phone with the new belle v111.030.609. Everything is fine except for the nokia social widget is missing. i see from ur screenshots that u have it. Any idea why is went missing n how can i get it back? i also see from ur video that in the ‘add widget’ option the nokia social widget is missing but u still have it. how did u activate it n from where? my quickoffice n adobe reader are also missing. i took backup just before flashing. will restoring help? plz reply! Any updates on Symbian Belle? Please reply. communication verify could not be processed……………..plsssss can any1 help?????? @Nitish- still no belle on nokia suite for C6-01 which has a product code 059C5W6. Iasked on nokia developer site they said it is a SWAP CODE means You can’t update to belle. I went to Nokia care centre they said belle is not available yet. WTF is this? My phone was swapped becoz i got the faulty unit at the time of buying..
Wht should I do? Can I change my product code? I need Original Nokia Belle files…could u please upload it in mediafire…. many apps are also not support..
why is my acseries dont work after i turned my nokia n8 phone to sambian belle.!? Please help me just now..
Hi Nitish Kumar, how to remove nokia belle????? I want old symbian..
Good work mate! Had no luck trying other peoples methods, but your’s mapped it out nicely. Thanks heaps mate. webpage to get most recent updates, thus where can i do it please help out.